Any company cutting, drilling, boring, or machining lengths of material, whether steel or aluminum, should care about automation. Any repetitive process, if not automated, is essentially costing the shop money. With TigerStop, you can affordably add easy-to-use equipment to your existing machinery and have an immediate improvement in throughput, accuracy, and quality. Automating a repetitive manual operation with a TigerStop product – cutting lengths of material, drilling, boring, and more – puts the machinery in control, resulting in higher throughput and decreased cycle time. Quality becomes more consistent as well. 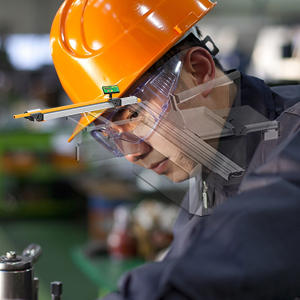 TigerStop has machines that allow you to add the automation to your existing equipment. With load ranges from 100 lbs. to 2000+ lbs. (45.4 kg to 907.2+ kg), TigerStop can push it, pull it, or position it.